We previously showed you the augmented reality website from Tissot, that let you try on a watch on your wrist using a computer and augmented reality. 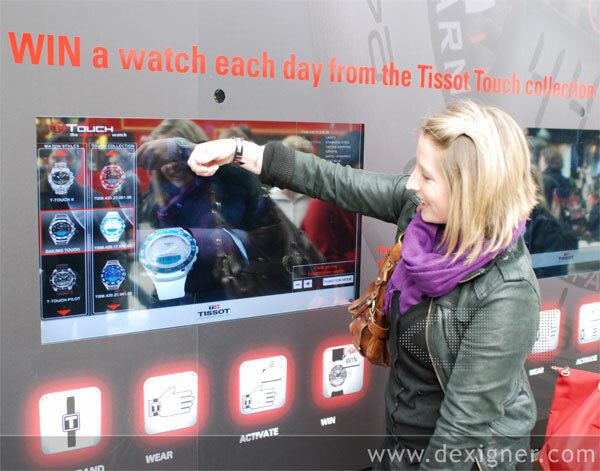 Now it seems that Tissot has installed the feature in Selfridges in London. As you can see in the video below, if you want to try on one of the watches via augmented reality you just put on a paper wristband, and then you can try out various watches on the screen to see what they would look like. The augmented reality window is located at Selfridges in London, it certainly does look like a fun way to try on some watches.